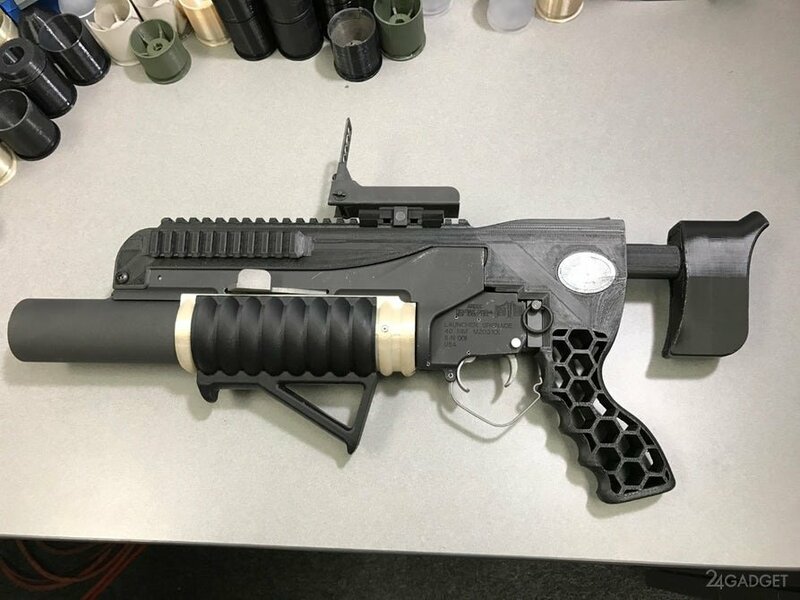 To demonstrate the capabilities of new technologies in the design, development and production of new weapons from the engineering research and development arms of the U.S. army implemented issue grenade launcher and ammunition with the help of 3D printing technology. As a prototype for the manufacture of grenade launcher RAMBO (Rapid Additively Manufactured Ballistics Ordnance) used standard army M203A1 grenade launcher caliber of 40 mm. 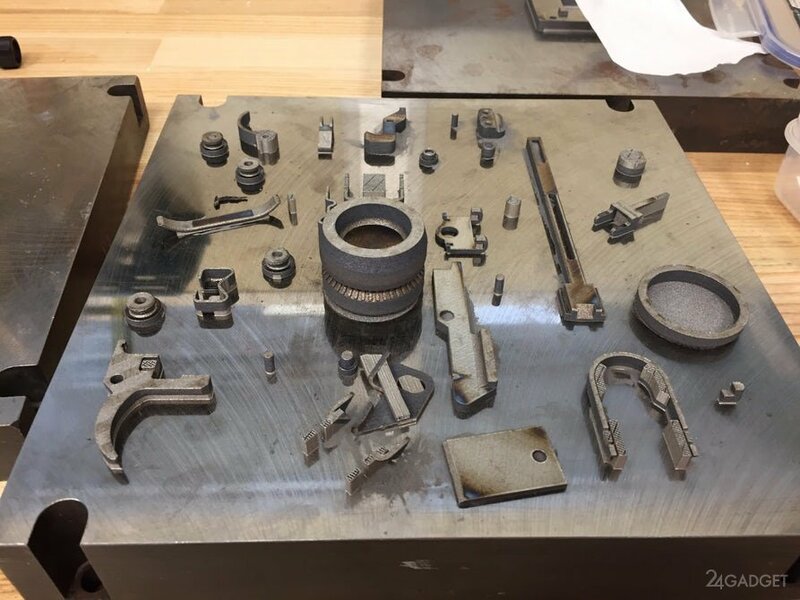 using a 3D printer layer-by-layer additive technologies manufactured all the main parts of the weapon, the exception was spring and the connector — studs, and screws. In the process of making a grenade launcher RAMBO used original ways of using 3D technologies. For the manufacture of the barrel was applied layer-by-layer sintering of aluminum powder under the influence of temperature from the laser beam. When this was achieved the high precision rifled barrel. Cutting printed using 3D printing that eliminates the need for subsequent milling operations. 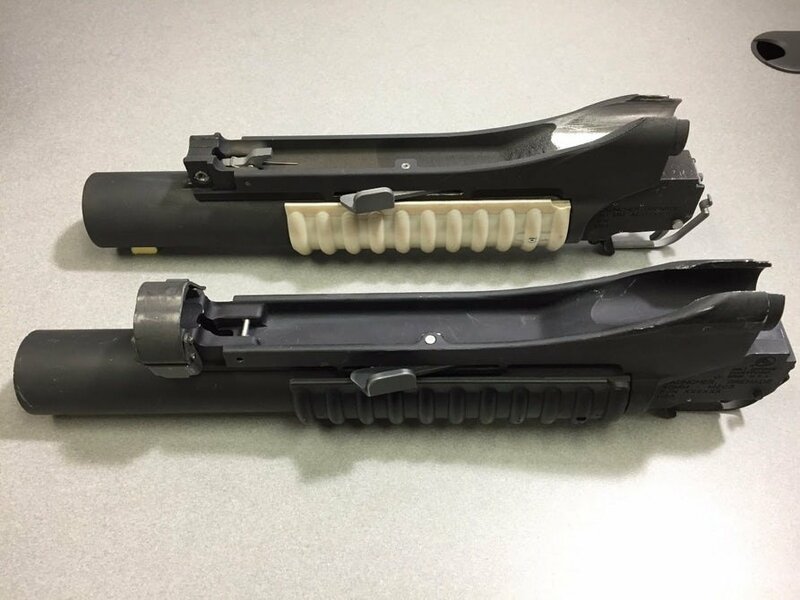 After laser sintering the barrel and receiver of the grenade launcher was prone to surface anodizing, which provided high strength and abrasion resistance of the outer layer. Research center experts note that the process of working on the grenade launcher took 75 hours, and during its manufacture will require a ready computer program and eliminates the need for a highly skilled and highly paid specialists — gunsmiths. Despite the fact that the estimated cost of making the barrel and receiver is $100 per pound of product, the use of computerized process of manufacture of the grenade launchers would be economically justified and profitable. 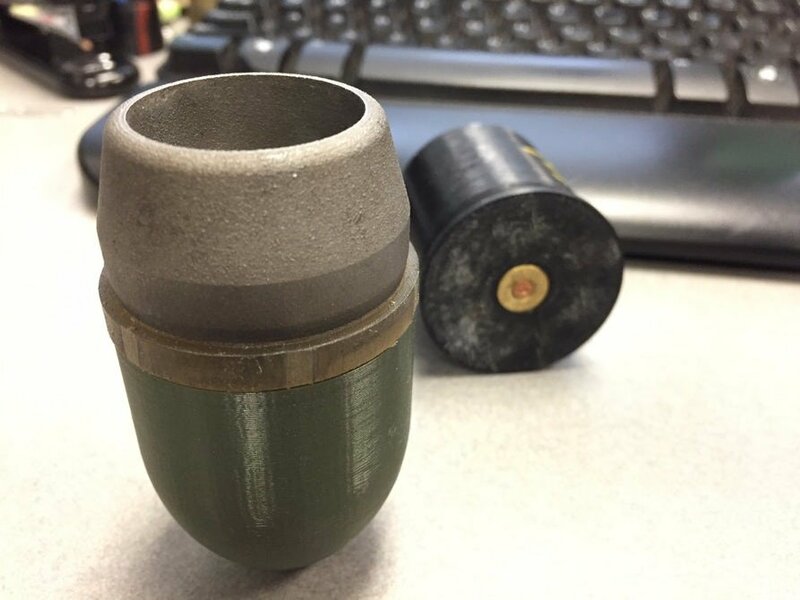 As ammunition used training grenade, since the production of warheads, equipped with explosives, with the help of 3D printing at the moment is prohibited. 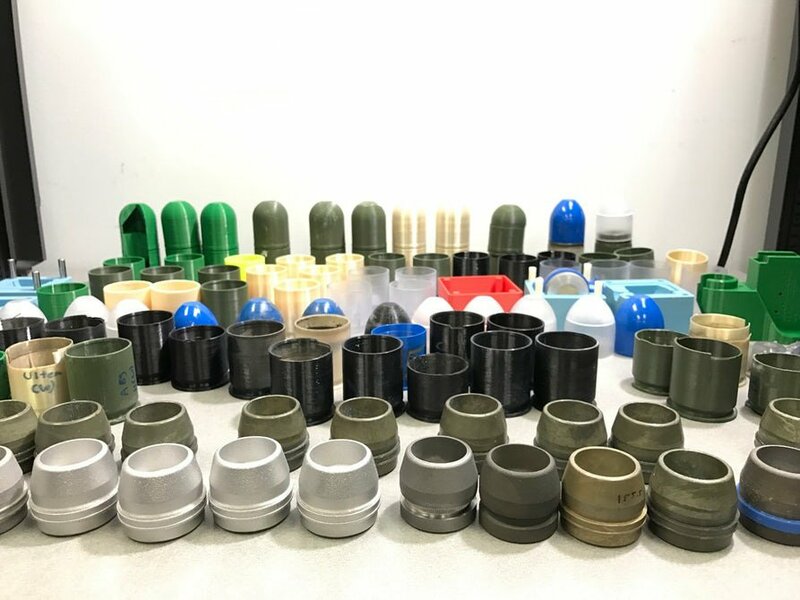 Given the fact that for the casing of the 3D ammunition impossible to use traditional zinc, the developers offered several options for enclosures: aluminium, steel ring made of urethane or plastic. At the site of the Picatinny Arsenal (NJ, USA) on the range of open and closed types were tested grenade launcher RAMBO. During the test firing was carried out 15 cycles of test shooting using a remote control. The grenade launcher during the tests, received no apparent damage to major working parts, a small problem with a cracking cartridge was quickly eliminated during the test. The main advantage of using 3D printing for the production of weapons systems is the ability to respond quickly to structural changes in the samples of prototypes of new types of weapons. This approach according to experts ARDEC will reduce the production time of prototype weapons several times (up to several days). At the same time the tests showed the possibility of creating highly reliable and durable products using 3D printing. You are reading an article on the 3D printer produced a grenade launcher and ammunition to him (6 photos). All materials on the site Gadgets F, а также и статья 3D printer produced a grenade launcher and ammunition to him (6 photos) - written for the purpose of information enrichment and we are happy if you like our magazine.